It's a bit challenging to get into the fall spirit here in Scottsdale. I mean, we have no color changing leaves, and the temperature doesn't scream "autumn" at all - more like summer anywhere that's not the desert (the forecasted temperatures for this weekend are in the 90's). 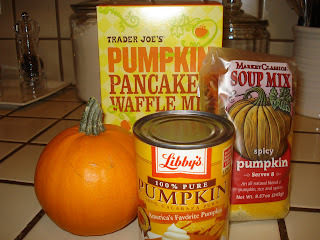 To help us get into the season, I've decided to try a bunch of new pumpkin recipes. What could be more delicious? I'm going to go all out on some of them (I'm going to try to bake a pumpkin for the first time! 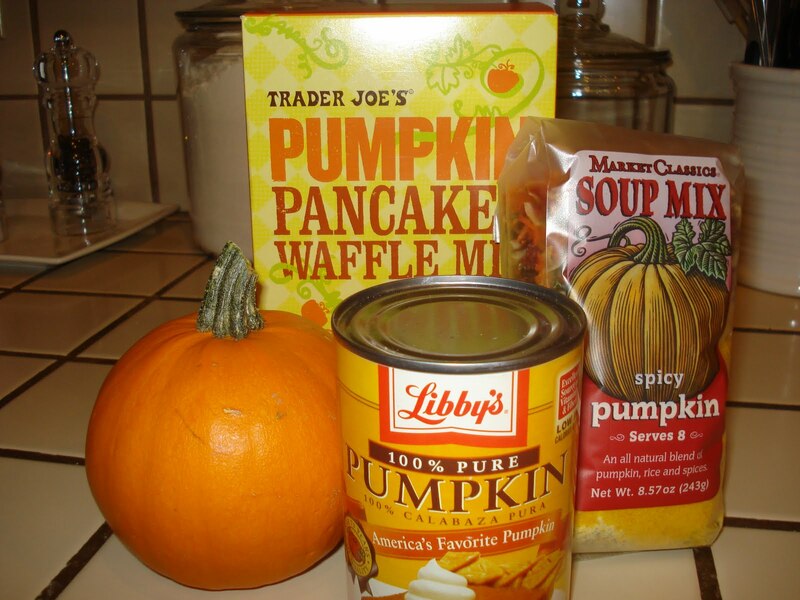 ), and I'm cheating on some (hello boxed pumpkin pancake mix) but the point is to fully experience October via its signature symbol- the pumpkin!